One animal that is routinely spotted here in east Tennessee has more negative emotion attached to it than most of the other animals combined. This animal does almost no damage and is actually an important part of the ecosystem. The animal that I’m speaking of is the snake. Throughout millennia and around the world the snake really gets a bad rap. As humans, we tend to fear those things that we don’t understand. I was raised to fear these creatures as were most of my friends, yet the snake is responsible for little more than causing fear and trepidation among those who don’t understand him. Tennessee Wildlife Resources Agency (TWRA)tells us that we have approximately 23 species of snakes living here in east Tennessee. 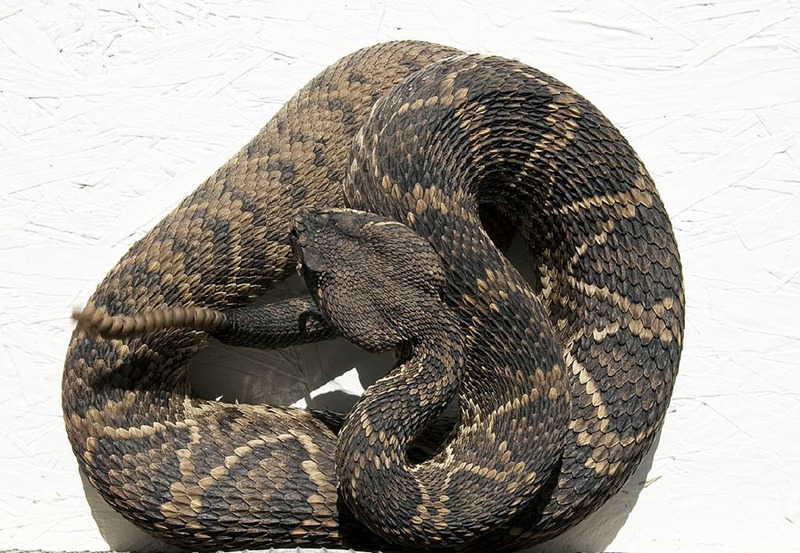 Only two of these species are poisonous – the timber rattlesnake and the copperhead. We routinely receive calls from people who insist that they’ve seen a water moccasin or type of cobra, but these species don’t live within 200-5000 miles of us. Of our poisonous snake calls (which we receive approximately 225 per year), we’ve actually only found two poisonous snakes. Both of these were in areas far outside Knox County. All of the other calls turned out to be harmless snakes who followed a bird or a rodent into or near a home or business. Snakes are beneficial to us and our environment by helping control rodents and birds. If not for snakes we would suffer higher losses in grains and more contamination of food products from pests. Some snakes even feed on other snakes. The Eastern kingsnake eats other snakes and is immune to the poison of the rattlesnake and the copperhead, making him a highly beneficial snake to have around a property. We get many reports of someone having a “black” snake at or in their house. Of the 23 different species that we have here, approximately half a dozen of them are black or have a black phase. The timber rattlesnake can have a black phase, but has a very thick body, which is different from most of the rest of the local species. Because both of our local poisonous snakes have a very thick body type, they are not known for their climbing abilities. Both prefer to stay on the ground and crawl under rocks and logs. Another unique attribute that all snakes possess is their highly adapted Jacobson’s organ. Snakes are great trackers, yet have a limited sense of smell, no hearing, and good eyesight. The sense that sets them apart is the Jacobson’s organ – more of a means of taste than scent. They flick their tongues out of their mouths to collect tiny particles of air. The tongue then deposits these particles in this highly adapted organ which assimilates and analyzes the particles – in affect, tasting the air! With this organ, they can track a rat or mouse several hundred feet or find a bird nest 60 feet up a tree.